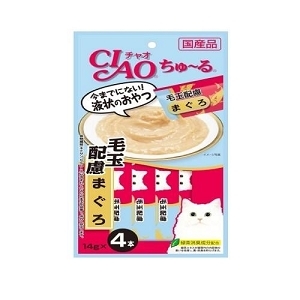 Ciao ChuRu is a tasty liquid paste snack that helps to replenish fluid loss in your cat's body. 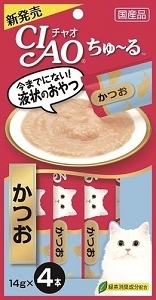 It is also Japan's no.1 best selling cat treats brand! 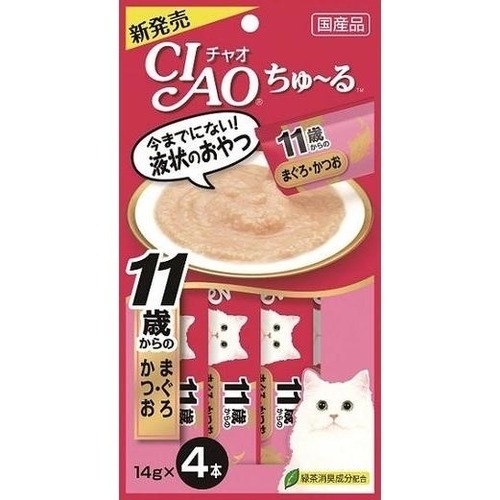 Japan’s No.1 Best selling cat treats! 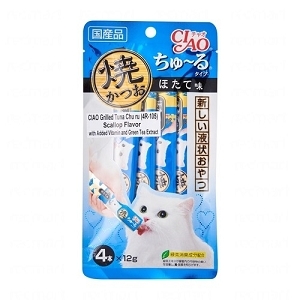 These premium lickable treats for cats are made with real, deep sea tuna or farm-raised chicken! Available in 10 delectable varieties, Churu Purées are high in moisture to help effectively replenish lost fluid in your cat’s body. -Great for senior & mature cats with dental complications or with aging teeth. -Help kittens to acclimatize and transition to dry food.